We know, we know. It’s frustrating when you go through all the motions only for the lead to go cold. Bummer, right? We feel you. Hopefully, today’s post will break it down for you so that you can begin prospecting like a G in no time. Keep reading to uncover the 3 prospecting tips that will have you prospecting like a pro in no time flat. FREE Lead Generation Training Webinar Reveals…How The #1 Income Earner In A Network Marketing Company With Thousands of Reps Can Generate Roughly 50 Leads/Day Absolutely Free With His Top 10 Best Producing Prospecting Tricks [Especially Trick #21], And How You Can Too! A word of CAUTION before the big reveal. If you are doing online marketing and a lead comments, or expresses interest in your post/ad, ALWAYS, ALWAYS, ALWAYS get them offline and onto the phone. Feel them out, first, to see if they are comfortable with giving you their information. If not, then carry on; but, if so, Facebook has a neat feature where you can call your prospect right through the app without them revealing their information or yours. Instagram doesn’t yet have this convenient feature but we’re sure it won’t be long before they do. Be clear as to why you are calling – refresh your memory as to what interest did the lead express in your post or ad. Was it about the business or about your products or services? This is important because this will guide your phone conversation. You don’t want to share the business if the lead didn’t express an interest in it and vice versa. Find out what they are trying to accomplish – once you have them on the phone, ask them open ending questions that will get them talking about themselves. What are they trying to accomplish? What are their goals? Take notes, either mentally or literally. Don’t get on the phone a start giving a mini-business presentation because you’ll scare them off. Make the call all about them. At the end of the call, go over the notes you took to not only refresh your memory but to also bring it back to their remembrance of what they shared with you. If they ask you questions throughout the conversation, by all means, answer them but redirect the conversation back to their needs/wants. ALWAYS stay in control of the conversation. Commit to your allotted consultation time – in other words, if you mentioned that you were available for a 5-, 10- or 15-minute phone consultation, then set your timer to be sure you don’t exceed that allotted time. This lets them know that you respect their time as well as yours. It also shows that you are busy and your time is valuable. When you have just a minute or two left before your time runs out, kindly interject the conversation with a gentle reminder that goes something like this “I’m sorry, when we connected in the inbox, I mentioned that I was available for a 5 minute consultation. That time is soon coming to an end. If you would like to continue this conversation, we can reschedule for a time that’s more convenient for you.”. Schedule a time to reconnect or allow the caller to indicate if they have a few more minutes to chat. It’s your call; just remember to stay in control of the conversation. These prospecting techniques will have you closing more leads that you can count. The more you do it, the more comfortable you’ll become. As you become stronger with your skill set, teach others on your team how to do the same. Soon, customer prospecting will be a breeze for you and you’ll be moving up in the ranks and growing your customer base in no time. 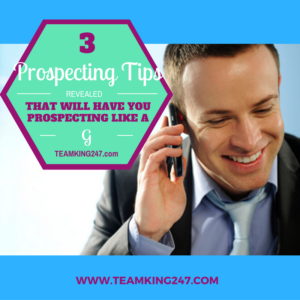 We hope you found post on 3 prospecting tips revealed that will have you prospecting like a g helpul. If you found today’s post to be of value to you, then we would love for you to leave a comment below. Also, if you believe this information would be a blessing to someone else, then feel free to share it with others. Have you ever wondered how you could “clone” yourself and build your ideal team? While it may not be possible to physically “clone” yourself, it is possible to clone what you do to achieve success in your business by teaching others. 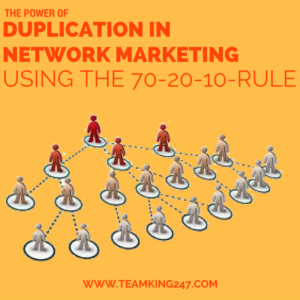 That’s the beauty of the power of duplication in network marketing using the 70-20-10 rule. We all know that there will be some that get it and some that don’t. You, on the other hand, need to know which ones you should invest your time with and teach them how to win, and win big. 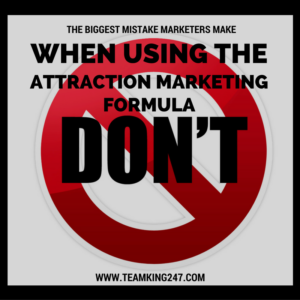 Team building is key when it comes to network marketing duplication. People have to feel as though you didn’t just get them to join and then leave them to fend for themselves. But, you also don’t want the life sucked out of you trying to train team members that either don’t get it or just don’t want it. Here’s how the 70-20-10 rule can help you focus on those that do want it and cause those that don’t come up to par and get into action. The 70% – are those that have watched your hustle and decided to partner with you but they’re sitting idly by. They like being a part of something/community but they’re not yet self-motivated to give it all they have for themselves. The 20% – are working their business but could be doing more. They attend meetings/events, and they are focused. However, they lack consistency. They need just a little nudge to get themselves back on course. The 10% – are your go-getters and heavy hitters. They’re competitive. No matter what you throw their way, they are all in. They’re hungry and they want it, not only for themselves, but for the overall team. Duplication in network marketing is the only way to move up in the ranks and truly live the lifestyle that you intended to have when you joined the business. But, you can’t build this empire all within your own strength. You have to take the time to teach the members of your team how to do the same. As you can see from the 70-20-10 rule, some will get it and some won’t. You simply have to set your attention and your focus on those that do. The others will see the growth and join in because they don’t want to be left behind. You can also initiate team activities to help amp up their motivation to get their head back in the game. Do whatever it is you have to do to light the fire within them but also know that you can’t lose sight of your goals trying to help a member that can’t help themselves. We hope you found today’s leadership post on the power of duplication in network marketing using the 70-20-10 rule eye opening. If you found today’s post to be of value to you, then we would love for you to leave a comment below. Also, if you believe this information would be a blessing to someone else, then feel free to share it with others.